Tortuguero is a small seaside village with a population of between 1200 and 1500 residents. Literally translated as ‘land of the turtles’ Tortuguero lies on the Caribbean coast of Costa Rica, roughly fifty miles (80 kilometers) north of Limon, and 60 miles (95 kilometers) east of the Costa Rican Capital, San José. Tortuguero is the nesting site of four different species of turtle. Accessible only by air or water, Tortuguero is situated within the boundary of the Parque Nacional Tortuguero (Tortuguero National Park). The village lies on a sand bar and is separated from the mainland by the Tortuguero River, and this is where the fun begins, once you have dragged yourself away from the miles of endless beaches running along much of the Caribbean coastline. 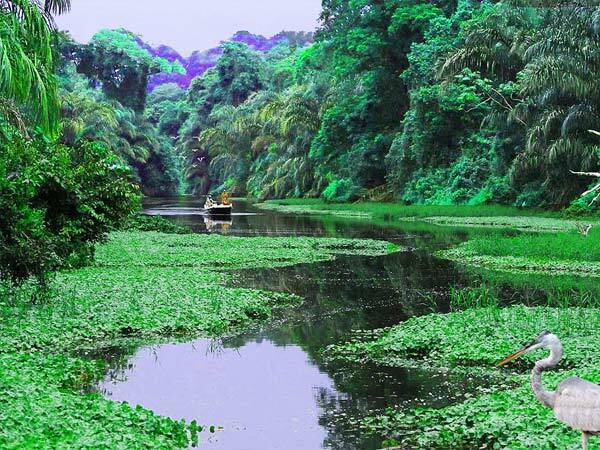 The Tortuguero River provides access deep into the jungle rainforest which, on average, extends 7 miles (10 kilometers) inland, but which also runs roughly 65 miles (100 kilometers) along the coast, both north and south of the village. Nothing can prepare you for the experience of taking a boat tour along the river. Here in Tortuguero the beauty of ecotourism is evident as you get to explore and enjoy nature in its totally unspoilt form, as though you were the first person ever to discover these beautiful sights. ‘I spy’ reaches a whole new level, especially when someone says “…something beginning with J.” Would you ever be likely to forget your first sight of a jaguar, let alone one in its natural environment? With the sensitive nature of the tropical rainforest and extreme measures taken to protect it, hotels in the area are few and far between. Tortuguero is not a commercial vacation resort, it is a unique and totally unspoiled destination, where you can relax in total comfort, yet soak up and marvel at all the lush, jungle forest surrounding you. The determination that the area surrounding Tortuguero should remain totally undamaged by the presence of tourists even extends to the fact that locally, the only form of transport is by boat. Pachira Lodge – 88 rooms set within 34 acres of Costa Rican Jungle, facilities include an outdoor swimming pool and jacuzzi, massage and beauty treatments and restaurant. Manatus Tortuguero – one of the loveliest hotels in Tortuguero with 12 beautiful riverfront rooms, all set in stunning tropical gardens. Facilities include an outdoor pool, Afro-Caribbean fusion restaurant, spa and fitness center. Access only by boat. Tortuga Lodge – a 21-bedroom riverfront resort hotel set in 50 acres of pristine grounds. Facilities include a saltwater freeform pool, open-air restaurant, hammock house overlooking the river, and access to hiking trails. Click here for further details of these and other hotels in Tortuguero, Costa Rica. It can be difficult to decide, from a distance, which hotel will best meet your requirements, which is why, at Costa Rica Rios, we are here to help you. 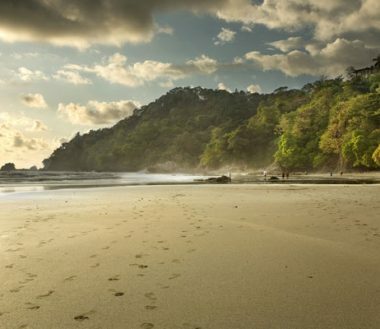 We want your vacation to be stress-free from the moment you book it, not just when you arrive, so get in touch and let us help you create the perfect vacation in one of many, many stunning locations in Costa Rica. Sunrise Restaurant – located between the dock and the national park, Sunrise will tempt you from afar, thanks to the enticing aroma of grilled chicken and pork ribs. Just follow your nose! Miss Miriam’s – Carribbean-style food at its very best served out of modest premises. Home to some of the best spicy Caribbean chicken, pork and fresh fish. Fresh Foods – the name sums this place up perfectly. Serving breakfast and lunch, enjoy an omelet with freshly pressed fruit juice and toast to get your day off to the perfect start. Come back at lunchtime for a Caribbean feast of chicken and rice, washed down with a giant smoothie served out of a fishbowl-style glass. Taylor’s Place – enjoy the garden setting of this back-street restaurant, eat off picnic benches and savor such delights as grilled fish in garlic sauce, beef in tamarind sauce, or a light avocado and chicken salad. Wild Ginger – fusion cuisine from a frequently changing menu and cocktails served out of jars. This informal but very popular restaurant offers such culinary delights as curry-stuffed chicken leg with passionfruit sauce and falafel with peach-palm hummus. Further details of these, and other restaurants in Tortuguero, Costa Rica, can be found here. The title has a slight error in it, as there is actually only one beach in Tortuguero, but it extends pretty much as far as the eye can see! It should be noted that, as with many of the beaches on the Caribbean shoreline of Costa Rica, swimming is not really advised, owing to a combination of the height of the surf and strength of riptide currents. Of course, that doesn’t stop you from lazing in the sunshine as you listen to the waves crashing over the beach, or dipping your toes in the sea when the waves have died down. Though situated on the coast, Tortuguero is not a destination for those of you who are keen on sea-based watersports. While the views of the ocean are amazing, as mentioned, the powerful waves and strong rip currents make the location unsuitable for the likes of swimming, scuba diving and snorkeling. However, for those of you who enjoy fishing, there are a couple of sportfishing charters you can take from Tortuguero. Turning from the sea to inland and the Tortuguero River, and here the water turns to flat calm, perfect for riverboat cruises, canoeing and kayaking. As for the riverboat cruises, have no fear of the sound of boats disturbing the peace and tranquility of the surrounding rainforest as you explore – the eco-friendly attitude to tourism here even extends to many boat engines being battery powered. Riverboat cruises can extend from a half day through to a full two days for the more adventurous, and you will have the chance to see some of the most beautiful wildlife that exists in Costa Rica. 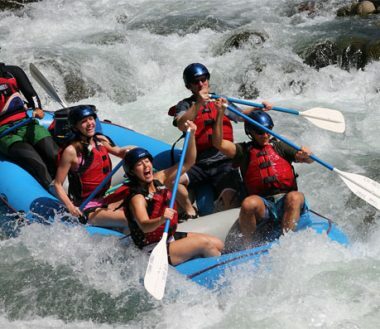 Popular alternatives include kayaking and canoe tours, combined with overnight camping, and both daytime and nighttime jungle treks into the rainforest. Last, but not least, how could we not mention the turtles? If watching this natural phenomenon is on your bucket list, then the season for turtle watching, particularly the Atlantic Green Turtle, is usually between June and early October. If you want to ask any questions about any of the activities we have mentioned, or if you want to know if any other specific activities are available, please don’t hesitate to ask. 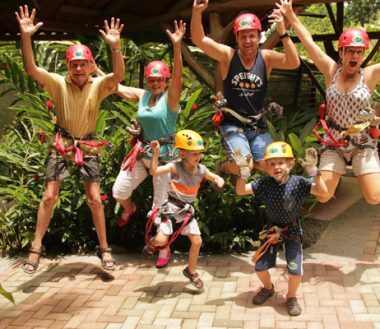 At Costa Rica Rios, we are here to help you in any way we can. This will be a short section! Tortuguero has one ‘nightclub’, La Taberna, which is a bar with a relaxed atmosphere during the day, but which livens up considerably at night to the sounds of reggaetón music. Other than that, turtle egg laying and hatching during the season completes the list of things to do at night in Tortuguero. Having said that, chances are the hotel you are staying at has a bar, a terrace to sit out on in the evening after dinner, and a peaceful and relaxed atmosphere where you can chill and quietly talk about everything you saw and experienced during the day.